Based in Stoke-on-Trent in the Midlands, Don-Bur is an expanding company looking for skilled colleagues that will contribute to ongoing success. Don-Bur designs and constructs commercial vehicle bodies and chassis, employing over 500 staff at our sites within the Potteries. Don-Bur has a transparent approach when it comes to working with recruitment agencies. We have an experienced in-house recruitment team and endeavour to fill our roles direct. On the rare occasions we can't do this we'll only consider our carefully selected partners. Please note that we don't accept speculative CVs from any agencies and reserve the right to treat any received as a gift. Don-Bur will not be liable for any fees should we engage with any candidates who have been speculatively submitted by an agency. All permanent/contract agency usage is managed by our in-house recruitment team. A vacancy has arisen in our Electrical Department at our well established commercial body and trailer manufacturing company based within Stoke on Trent. Successful applicants will report directly to our Electrical Workshop Manager assisting in the production of our in-house designed high quality commercial trailer chassis, decks and associated assemblies. This is a varied and interesting role working on low volume, high specification vehicles for prestige blue chip customers. Several vacancies have arisen in our Welding area at our well established commercial body and trailer manufacturing company based within Stoke on Trent. Successful applicants will report to the Welding Shop Manager/Team Leaders. Assisting in the production of our in house designed high quality commercial trailer chassis, decks and associated assemblies. This is a varied and interesting role working on low volume, high specification vehicles for prestige blue chip customers. A vacancy has arisen in our Coach Build area at our well established commercial body and trailer manufacturing company based within Stoke on Trent. Successful applicants will report directly to our Coach Build Workshop Manager assisting in the production of our in-house designed high quality commercial trailer chassis, decks and associated assemblies. This is a varied and interesting role working on low volume, high specification vehicles for prestige blue chip customers. A vacancy has arisen in our Repair Shop at our well established commercial body and trailer manufacturing company based at our Service Division within Stoke on Trent. Successful applicants will report to our Repair Workshop Manager assisting in repairs/re-fits to commercial trailers/vehicles. This is a varied interesting role working on low volume, high specification vehicles for prestige blue chip customers. 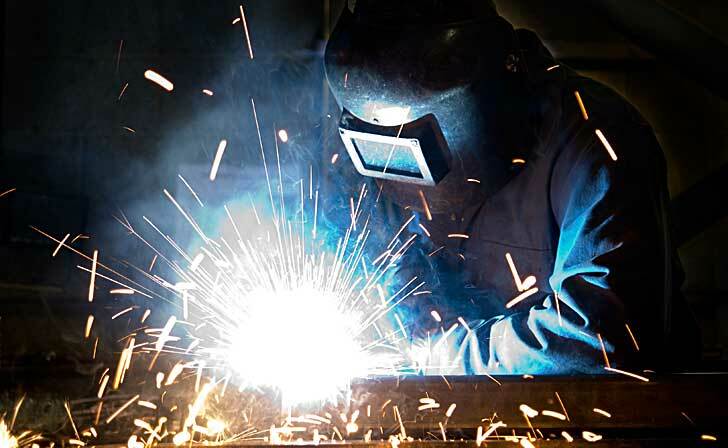 The ability to weld other materials such as stainless steels, alloys etc. Several vacancies have arisen in our Fitting area at our well established commercial body and trailer manufacturing company based within Stoke on Trent. Successful applicants will report to the Fitting Shop Manager/Team Leaders. Assisting in the installation of vehicle braking and suspension systems or hydraulic control systems associated with our industry leading lifting deck trailers. This is a varied and interesting role working on low volume, high specification vehicles for prestige blue chip customers. Several vacancies have arisen in our Body Building area at our well established commercial body and trailer manufacturing company based within Stoke on Trent. Successful applicants will report to the Body Build Workshop Manager/Team Leaders. Assisting in the production of our in house designed high quality commercial trailers. This is a varied and interesting role working on low volume, high specification vehicles for prestige blue chip customers.